Liz is one-fourth of Quince Ensemble, a treble-voice quartet dedicated to "charting bold new directions in vocal chamber music" (John von Rhein, Chicago Tribune). Their third album, Motherland, was released by New Focus Recordings in spring 2018. Liz maintains a private studio based in Minnesota. Please contact her for information regarding lessons! 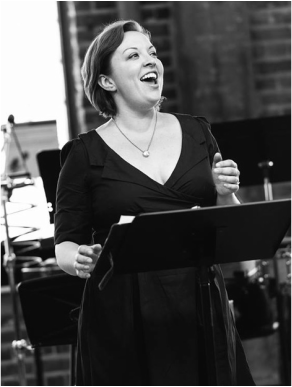 Liz has previously taught Vocal Repertoire and Singers' Diction at Bowling Green State University and Group Voice at Owens Community College, in addition to studio teaching in person and via Skype. Her research focus in contemporary music focuses on pedagogy for contemporary singing - both within and outside of the Western Art music realm, and her dissertation (October 2018) explored Roger Reynolds' Sketchbook for the Unbearable Lightness of Being, for self-accompanying singer.